Elephant Sweaters – FIREPAW, Inc. Yes, you are seeing that correctly. 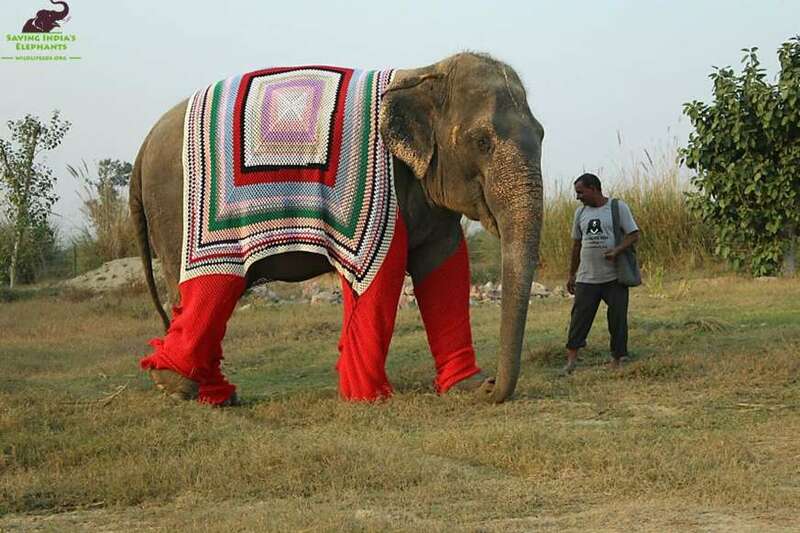 Sweaters…handmade, in fact, to keep rescued, previously abused elephants warm in the bitter cold weather and prevent illness. Animal lovers in Mathura, India, are knitting sweaters for elephants at the Wildlife SOS Elephant Conservation and Care Center as part of a new initiative. These colorful new garments will help the rescued pachyderms, several of whom are handicapped, brave the freezing cold weather set to hit northern India. Do you want to make a contribution to this amazing cause? To learn more about Wildlife SOS and do your part to protect its elephant residents, visit the website.